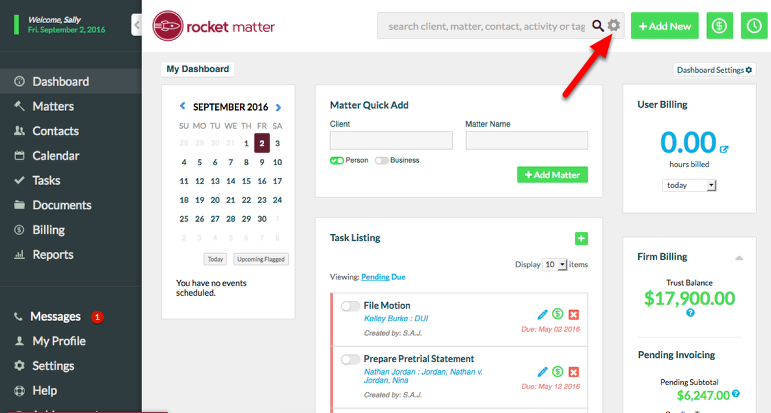 Rocket Matter Knowledge Base MattersHow to find a closed matter. 1. Run the 'Matters List' report. 1a. Click 'Matters' from My Dashboard. 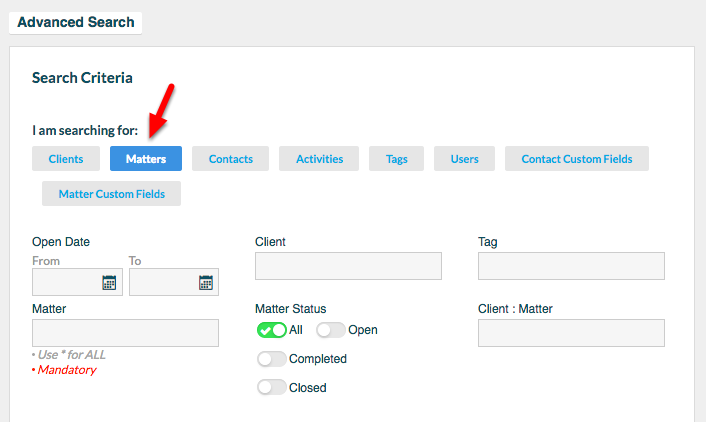 The 'Matter List' report can also be accessed in the Reports section of Settings. 1c. Select 'closed', and click "Get Answer". 1d. Results will populate with all Closed Matters. 2. 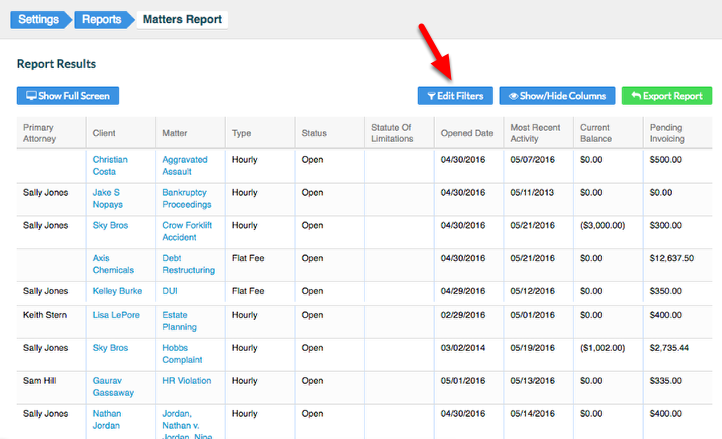 View Closed Matters in the Client's Contact Record. 2a. 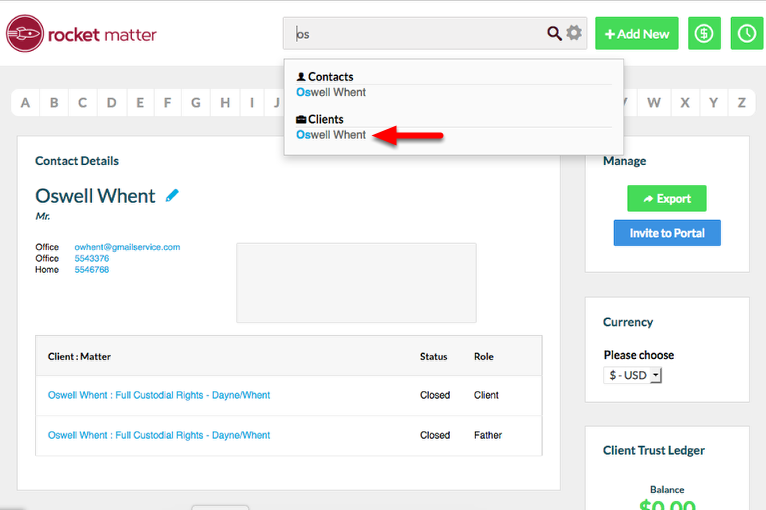 Navigate to the Client's contact record. For quick access use the Global Search. 2b. 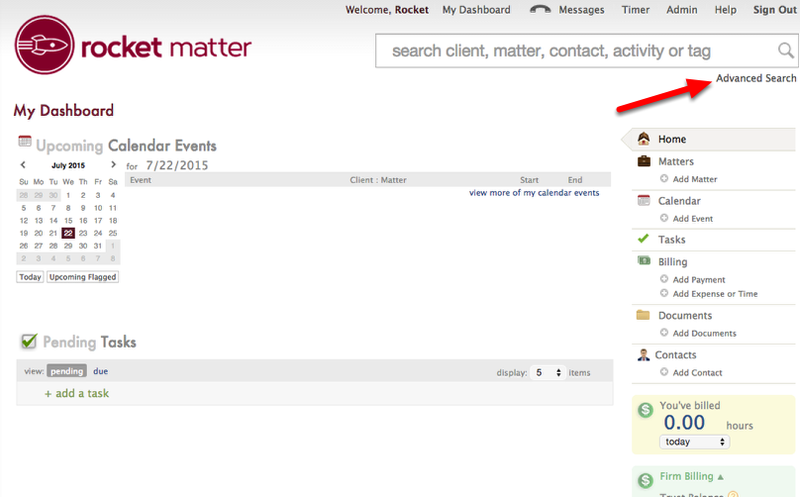 View the Status for the Contact's 'Client: Matter' list. 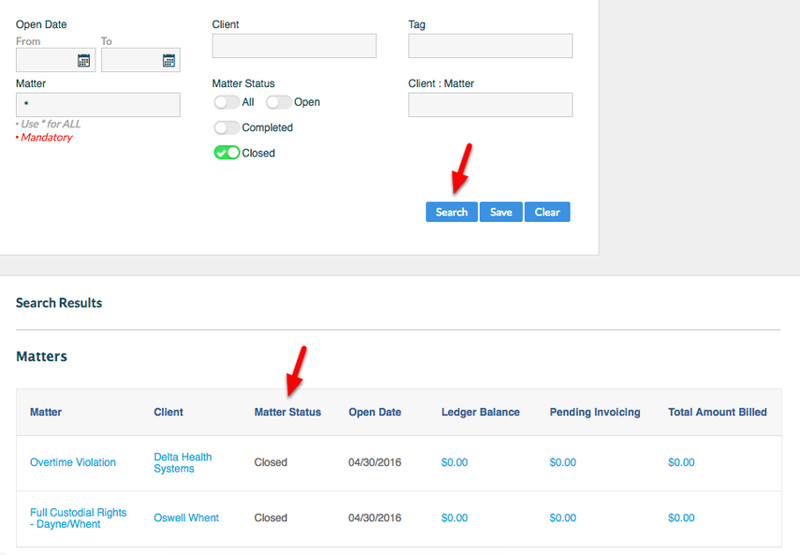 Note: To access the Matter Dashboard for the Closed Matter, click on the Client:Matter description. 3. 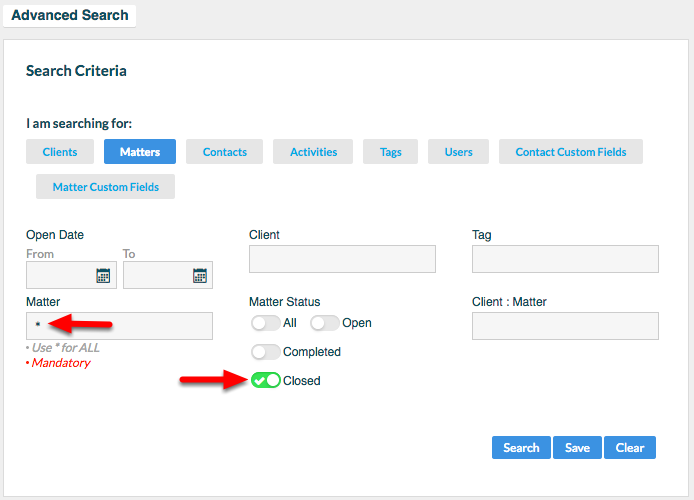 Run an 'Advanced Search' for Closed Matters. 3a. Click the gear icon to access Advanced Search. 3c. Type Matter: * , and select Matter Status: "Closed". Then click "Search". 3d. Click "Search", and view search results. Zoom: 3d. &nbsp;Click &quot;Search&quot;, and view search results. 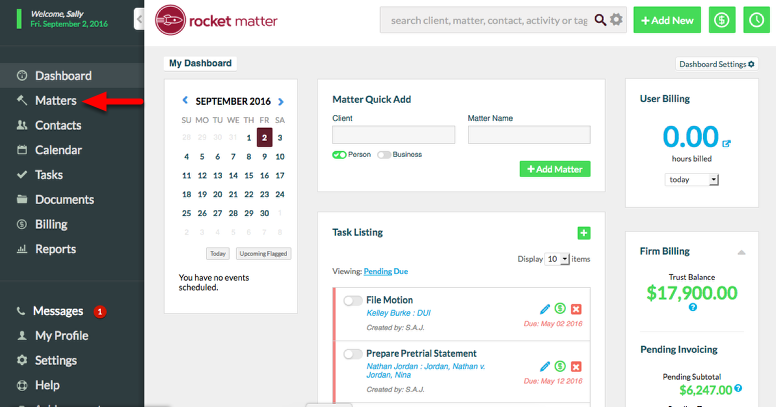 - Matter Dashboard can be accessed by clicking the Matter Name. 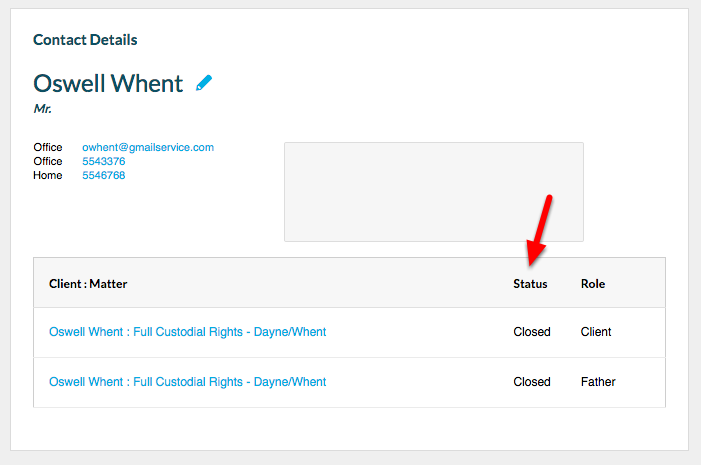 - Search results can be exported by clicking "Export" at the top right of the Advanced Search screen. Prev: What is the difference between a closed matter and a completed matter? Next: How to close a matter.